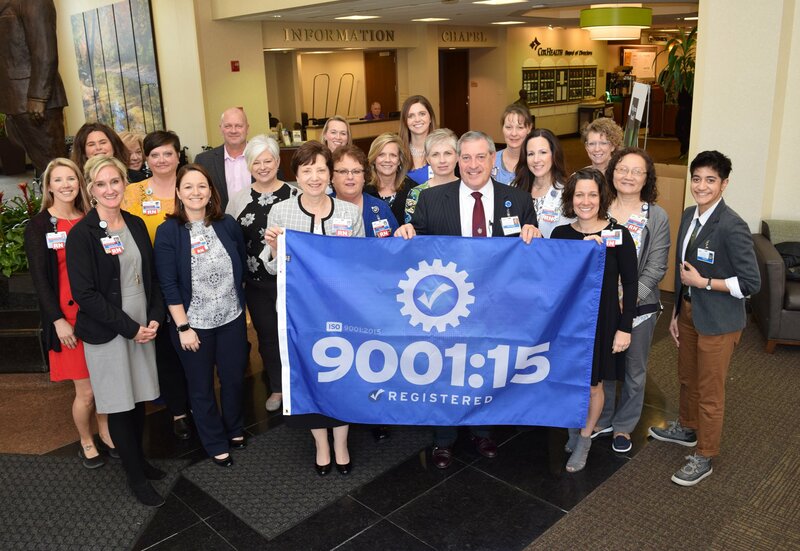 As part of CoxHealth’s ongoing commitment to excellence, the organization has earned the distinction of becoming the first hospital system in Missouri to achieve ISO 9001 certification. ISO 9001 is the most widely used quality management standard and is used in a variety of businesses, from manufacturing and maritime industries to food production and safety. In the health care setting, ISO 9001 serves as a business management structure that helps CoxHealth align its goals, strategies and tactics to make sure they are working together to meet the organization’s mission. "ISO 9001 is about putting our patients first to consistently meet their needs and exceed their expectations," says Arlo Stallion, CoxHealth’s system director of Regulatory Affairs. Customer Focus – meeting and exceeding the patient’s needs. Leadership – providing unified direction to carry out CoxHealth’s mission. Process approach – understanding activities or processes that link together and function as a system helps to achieve more consistent and predictable results. Evidence-based decision-making – analysis and evaluation of best practices and data. ISO 9001 encourages everyone in health care to carefully examine the process of their work. Focusing on process leads to improvements in efficiency, reduced risks and less wasted effort. “Following ISO 9001 principles ensures our organization is set up to consistently create value for our customers – the patients,” she says. CoxHealth received certification in the new ISO 9001: 2015 Quality Management System, the latest version of the program. The certification includes all CoxHealth hospitals and hospital outpatient services, with the exception of Cox Barton County. The certification is valid for three years and is provided by DNV GL – Business Assurance.